Woot (Amazon Company)'s Sellout store has the Linksys WET610N Dual-Band N Entertainment Bridge on sale for $19.99 plus $5 shipping. (Woot charges $5 shipping on all orders no matter how many or how big the order.) 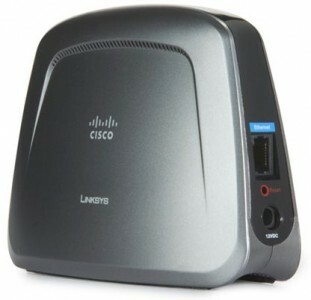 Linksys sells the refurbished version in their online store for $40! To find it, click Shop Now, then click on Sellout in the top nav bar at Woot. Deal expires when they're all gone. This is a simple way to add non-wireless devices with an Ethernet port to your wireless N network. Gaming devices, DVD/Blu-ray players and more should work with this inexpensive bridge.